FotoTunnel CS is powered by real-time 3D engine PaperVision3D. 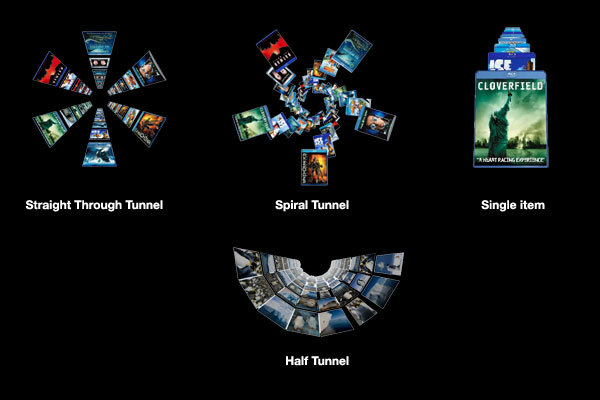 It allows building a tunnel like 3D photo album. You can navigate though the tunnel with mouse interaction with smooth animation. You can design your tunnel with different kind of parameter. You can change the diameter of the tunnel, number of thumbnail in the tunnel, etc. Thousand of possible style can be achieved by vary combination of setting. FotoTunnel CS is easy to setup. By using Photoshop, you can minimum the workflow time to creating the album. With WYSIWYG user interface, you can easily adjust and preview the setting in real time. Save a lot of workflow time when use with Adobe PhotoShop. PhotoFLIP CS supports build gallery from PhotoShop. Use the Export Web Gallery function in PhotoShop and use the fallery with PhotoFLIP CS. The new WYSIWYG user interface let you preview different settings in realtime.